On January 31, 1935, Mary Elizabeth Dow Maltbie (Mrs. Albert Lyman) gathered a few like-minded acquaintances for lunch on the mezzanine of the Davenport Hotel. Besides lunch, their agenda for the day was to form a genealogy society and the Eastern Washington Genealogical Society was officially born that day. The early minutes reflect that the ladies were all listed by their married names (Mrs. A.L. Maltbie) and the custom of the day was that a gentleman needed to be president. Samuel Weaver was elected (with his permission although he was not present) but never served. The meetings in those early years consisted of members presenting programs among themselves about their research into their own families and when they took research trips they would bring back hand-bound genealogical material to share with the group. They also started preserving stories and documentation of the early pioneers and the city and county of Spokane. 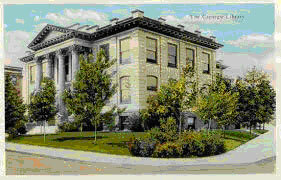 In October, 1936, the group obtained permission to meet in the Spokane Public Library, then housed in the Carnegie Library. Their nascent library began to grow in this facility. From 1943 to 1964, EWGS grew slowly; by 1964 there were 70 members of record. Many projects were begun and completed in this period with Mr. Lee Patchen working for 20 years making the 200,000 entries (mostly newspaper obituaries) in his indexing project that eventually became known as the Patchen File. EWGS began having informal workshops in 1966 and more formalized seminars in 1979. I clearly remember how I got the assignment of chairing the annual Fall Workshop. Catherine Hyssop was president (1979-1980) and I remember I was the lowly secretary. The subject of the Fall Workshop came up and who to have as speaker and where it was to be held, etc. Having attended several LDS Education Week seminars, I was impressed with the concept of having multiple classes being given concurrently and having to choose. I timidly raised my hand and suggested this new-to-EWGS format to Madam President and the Board assembled. “Good idea, my dear,” said President Catherine (who had all the presence of the Queen Mary under full steam), “and you, my dear, will be in charge of this!” No discussion, no debate, no saying no. I was appointed. I was Fall Workshop chair for about ten years. Our first such workshop was held in the Red Cross Building (near North Central High School) and the next year was at Gary Junior High. Subsequent workshops have been at Spokane Falls Community College. I got ribbed for years, especially by Bette Topp, about how I got presenters for the Fall Workshop. “Are you interested in researching your Irish ancestors?” I asked Bette. Answering yes, she got the assignment to do a presentation on Irish research. “But I don’t know anything!” she wailed. “Well, you have six months to learn,” I answered with great compassion J . And of course she did a bang-up job as have all of our EWGS speakers since. 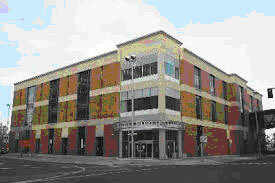 EWGS moved into the brand new Spokane Public Library in February, 1994. 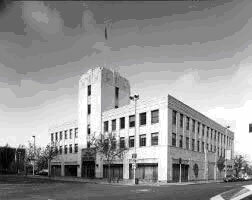 The Library, and the Society, had been temporarily housed in the JCPenny building and on one moving day, I remember helping with other EWGS members in a “chain-gang” handing books across the street to the new library. The Eastern Washington Genealogical Society hosted the Washington State Genealogical Society’s annual conference in 1985, 1990 and again in 2009. In 2000, EWGS hosted a Regional Conference sponsored by the National Genealogical Society. Membership remains a fairly constant 250-300 with 80-100 attending meetings, seminars and workshops. EWGS continues to meet on the first Saturday for ten months of the year. We are proud of our website, www.EWGSI.org, and our blog, www.ewgs-blogspot.com, and our Facebook page, Eastern Washington Genealogical Society. Our publication, The Bulletin, edited for 25 years by Doris Woodward, was replaced in 2009 by our digital publication, the Digital Digest, accessible from our website. As we mark our 84th anniversary, EWGS is thriving, involved in many educational and preservation projects, and looks forward to our 100th anniversary in 2035.